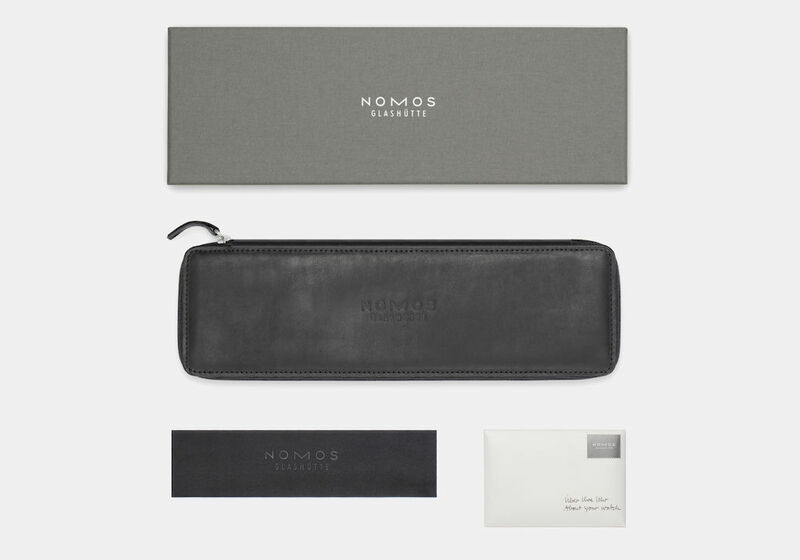 The most familiar and popular watches from NOMOS Glashütte are, thanks to the neomatik date caliber, a tick larger and now know what day it is—automatically and with ease. 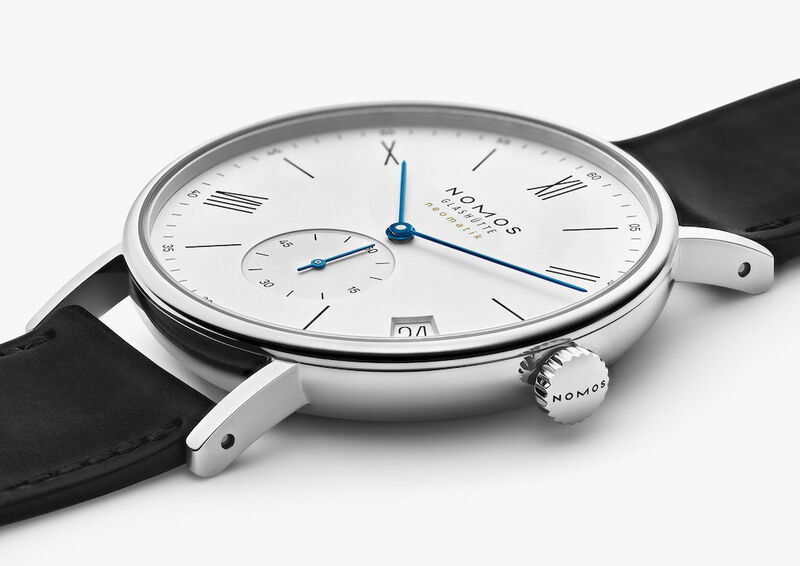 Ludwig, the most classic NOMOS timepiece, wears the date with utter confidence at four; one Arabic number among the otherwise Roman numerals. And of course, the date window is placed out towards the edge of this large watch's dial. 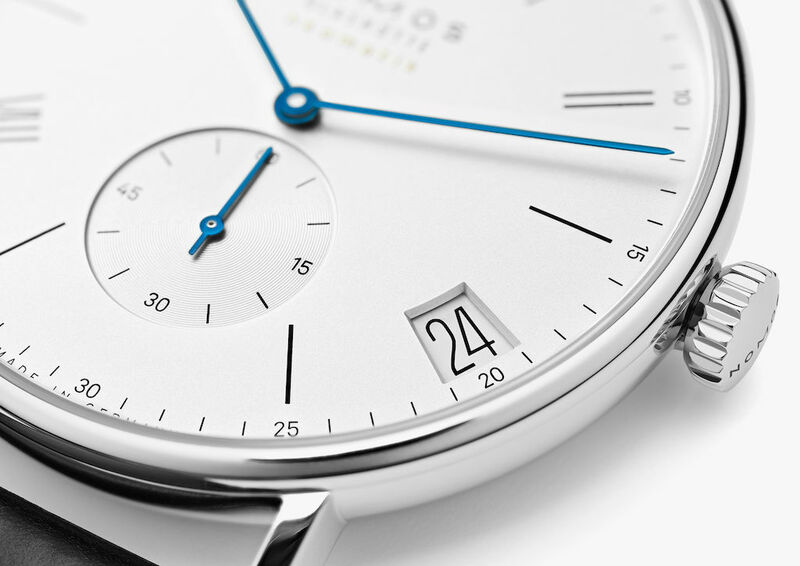 Many Roman numerals and an Arabic one too: Ludwig with a date display at four o'clock. 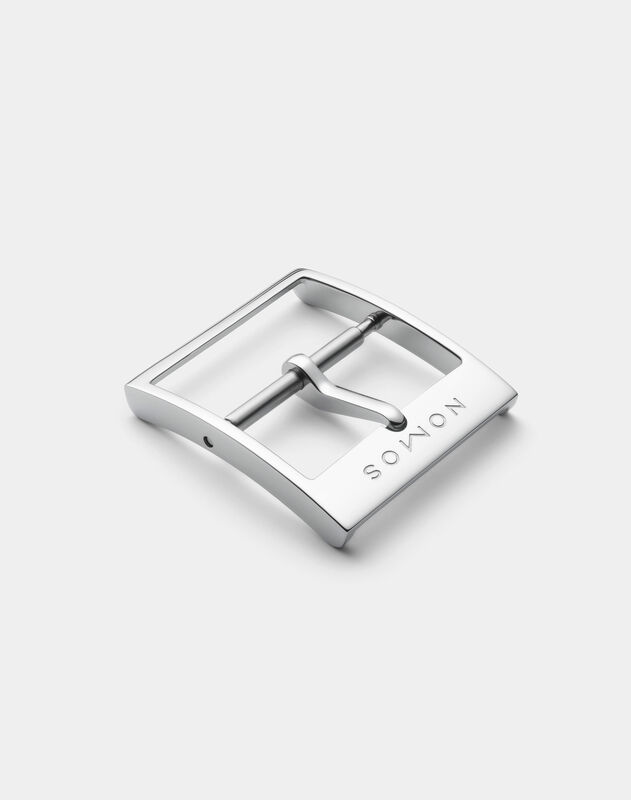 A quick date change, with little time to wait—making things as convenient as can be. 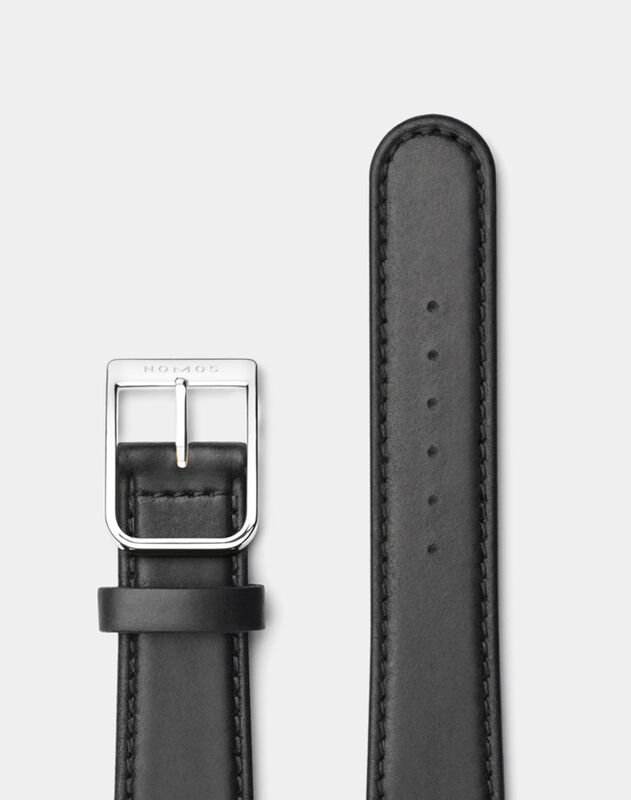 Ludwig uses the most modern technology for its date function, which allows it to stay very slender, even in this larger size. A beautiful view, and a tick more earnest: Ludwig neomatik date. 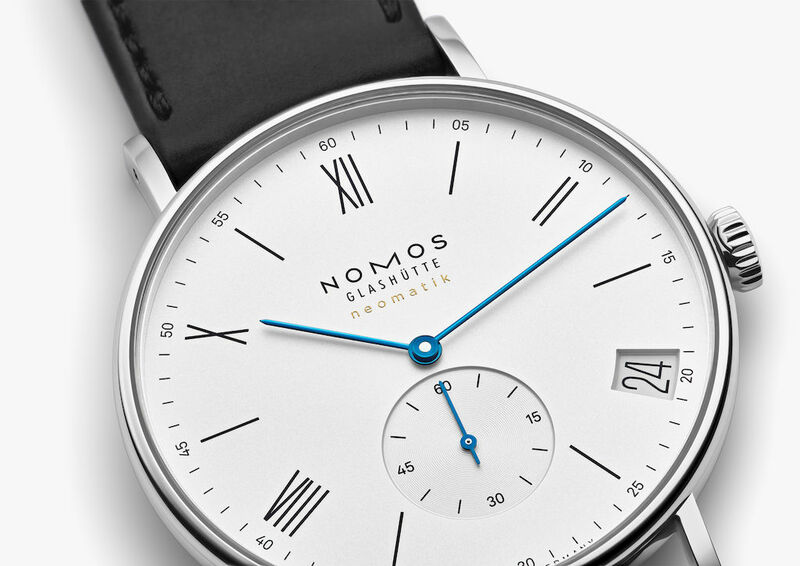 n all NOMOS calibers, the date ring is placed around the movement. In neomatik date, this caliber is particularly large. 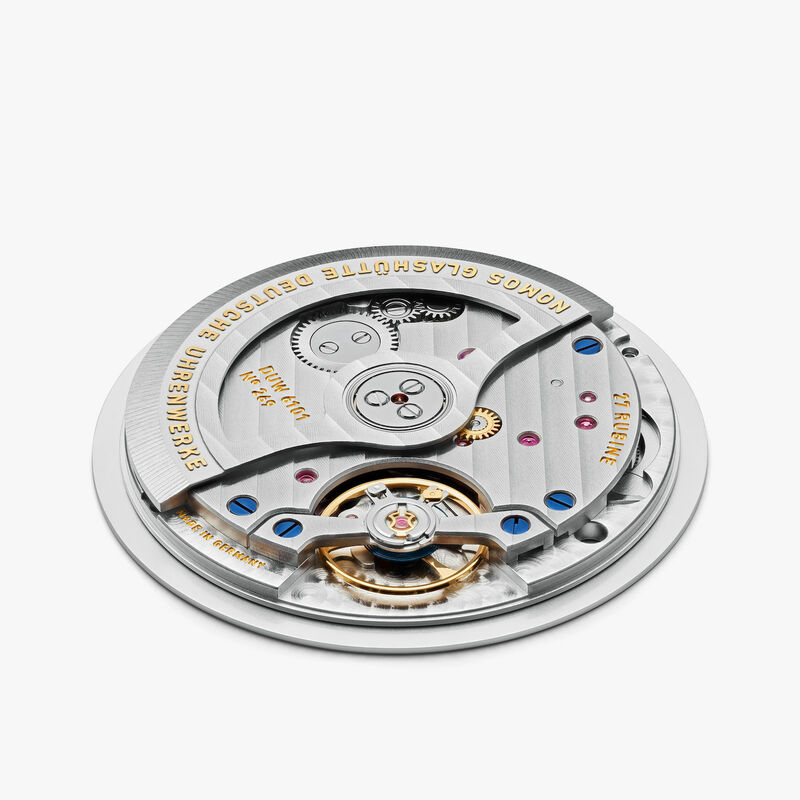 The first neomatik caliber with a date mechanism, it remains wonderfully slender. The date display can be made even clearer, and is particularly legible.